Here's Why Myrrophore Felicity Warner Never Leaves Home Without It! Palo Santo, whose name means ‘holy wood’, is an extremely powerful oil for psychic protection and is therefore essential for anyone involved in any type of soul work. This includes healing, working as a psychopomp, shamanic work and any other activity that brings us in contact with the deepest depths of the psyche, whether it’s other people’s or our own. 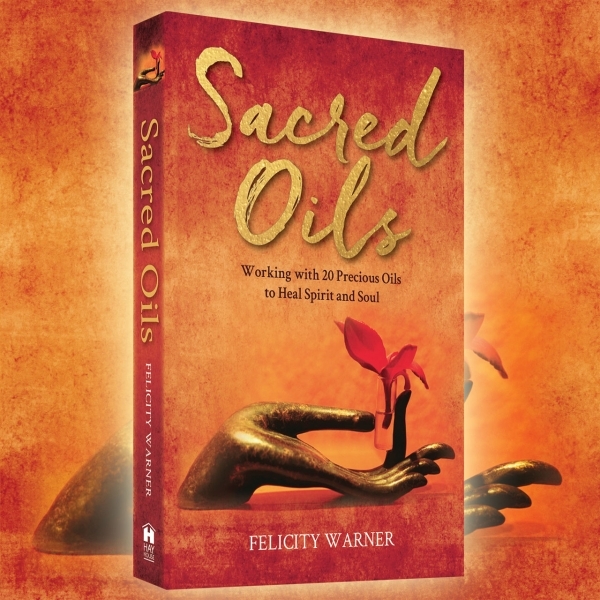 This pungent-selling oil serves to protect us from negative energy that might surround us in buildings and crowded spaces, especially hospitals, hospices and prisons. It’s also useful for providing protection on public transport, where there’s usually a mixture of intense energies. In addition, Palo Santo can help us when dealing with negative people and toxic relationships. Palo Santo is still widely used within shamanic practice. In Ecuador and Peru, it’s revered for banishing mala energía (bad energy), in addition to coaxing away demons and other negative influences, from both people and buildings. Palo santo wood is often burned as incense and used to smudge a person’s energy field to release the evil spirits attached to them that may be causing an illness. Myrrhophores use the oil, diluted in rapeseed oil and stroked through the aura, to cleanse a patient and remove any spirit attachments. Associated as it is with the Sun, Palo Santo represents dragon energy, which holds the combination of dark and light, male and female, yin and yang. The dragon’s fiery zest repels negativity and anchors the light, so that healing can take place. In ancient wisdom, fire represents the boundary between the physical and etheric planes. Initiates accessed the spiritual realm through fire (hence a baptism of fire), such as fire-walking or sitting around a fire. Even lighting a candle creates the connection with fire, which is why candles are lit in churches to aid contemplation and prayer, and to call in the Divine. Working with Palo Santo in meditation, for personal growth, may also give us the sense that we’ve entered another dimension of reality. Palo Santo is one of the most powerful oils that I work with. I call it spiritual disinfectant. You can sweep it through your aura whenever you’re exposed to negative energy. It’s invaluable for healers and soul workers. This is because it creates a shield of light throughout the aura to prevent the depletion or invasion of their personal space. It’s a wonderful healer of psychic wounds, repairing holes in the aura that may have been caused by trauma or soul loss. During periods of intense spiritual enquiry or exploration, Palo Santo anchors our feet firmly on the ground, keeping us in line with our soul’s purpose. It can also be used to lift curses, and to enhance prayer, ritual and other energy work.